You must make reservations at least 5 minutes in advance of the time at Basho Japanese Brasserie. Basho offering validation for parking within the 1330 Boylston garage off of Jersey Street for up to 3 hours for $12, every day, even on game days. We offering catering for private and corporate Events. Please call the restaurant for further information and details. We offer private dining options from 10-50 guests. 18% gratuity is included for parties of six or more people. Basho is a Japanese word that is roughly translated as "location" or "a space where activities occur". It could be a family gathering, socializing with friends, or a business event; moreover, it could be the setting for an unforgettable experience. We call this setting "Basho". Basho is a contemporary Izakaya brasserie where dishes are prepared in two separate areas: the principal kitchen and the sushi bar. Rather than offering individual starters and main courses, Basho serves dishes that are designed for sharing and are brought to the table steadily and continuously throughout the meal. Your server will be happy to assist you in choosing dishes, such as our Spicy Tuna on Crispy Rice Appetizer, which is highly popular or our specially crafted 1338 Signature Roll. We are also conveniently located within the heart of Fenway. If you're ever in the area for a Red Sox's game, stop by! We are only a 2 minute walk from Fenway Park! *Denotes food items are cooked to order or are served raw. Consuming raw or under cooked animal products may increase your risk of foodborne illness. Love the location, and the food is great. We enjoyed it. It was nice before we went to an event in the Fenway. 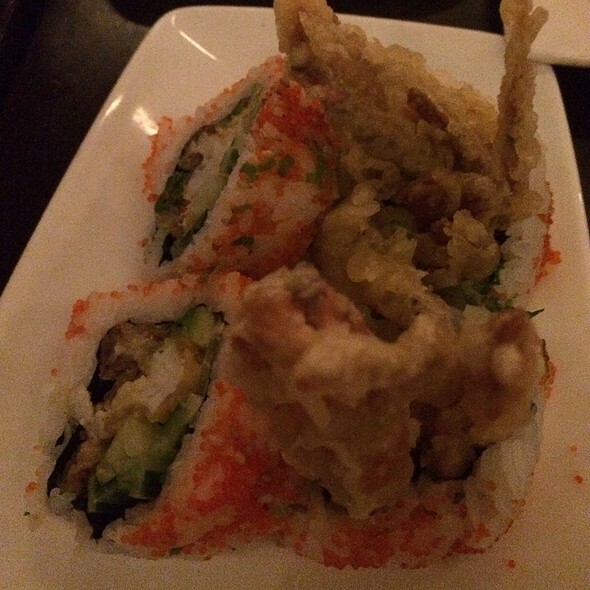 The fried chicken wings and sushi rolls were incredible! Decent meal here the other night. The sushi was very good. We also tried the shrimp and shiitake appetizer, which was good, large shrimp, but a bit too much mayo on it in my opinion. 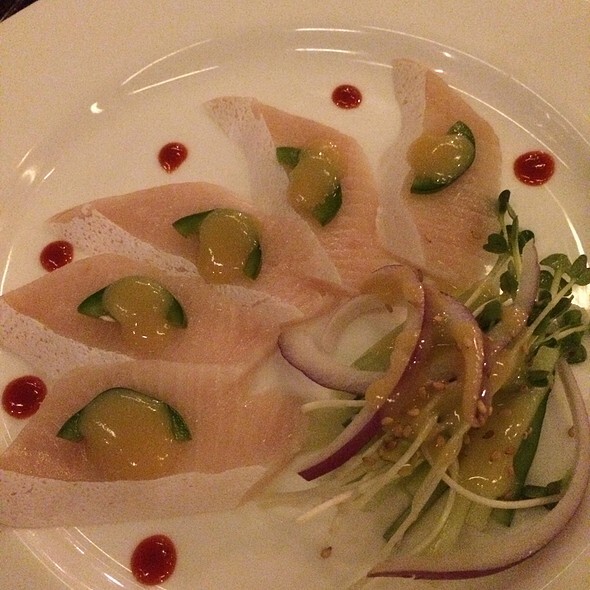 We also got a yellowtail appetizer with jalapeño and it was a bit disappointing. For $14 we got 4-5 very thin slices of yellowtail, with a slightly too thick slice of jalapeño on top and very little sauce. The jalapeño completely took over the taste and flavor of the dish. We also tried the udon soup, which was fairly basic (just noodles and broth with a side of 2 shrimp tempura and 2 broccoli tempura. That was it. 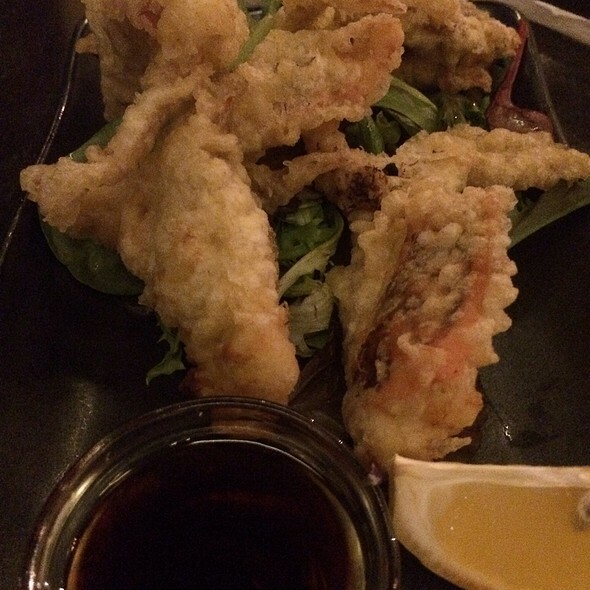 The tempura was a bit heavy and soggy, not light and crispy. I also asked for some chill powder for the soup and all they had to offer me was shiracha. There is also something just a little off about the atmosphere. The lighting is too harsh or bright. The music was rock and roll and there was a paint night going on in the restaurant. All of these things did not add to the experience. Nothing was terrible, but I prefer many other places. The service was not good for this type of restaurant, the waitress messed up our order. We ordered chicken wings, 2 rolls and another dish. We never got the last dish and this was a simple order and can’t even get that right. She never bought out the soy sauce for the sushi until I ask for it. We ordered the fried ice cream and it was soggy and gross. The waitress never came by to ask how everything is or else I would have mentioned the soggy fried ice cream to her. I would not return back to this place and would not recommend it to my friends. Excellent range of dining options, all of high quality in a very pleasant environment. I was disappointed to see that a favorite of mine, Okonomiyaki, was listed in the menu but has been discontinued as an option. Very rare to find it in Japanese restaurants yet an interesting and somewhat different dish than most. Met here with a group of friends before a show at HOB. The food was really good and fresh. Limited GF. Miso soup and the mixed drinks were the favorites. Basho is excellent for Sushi. 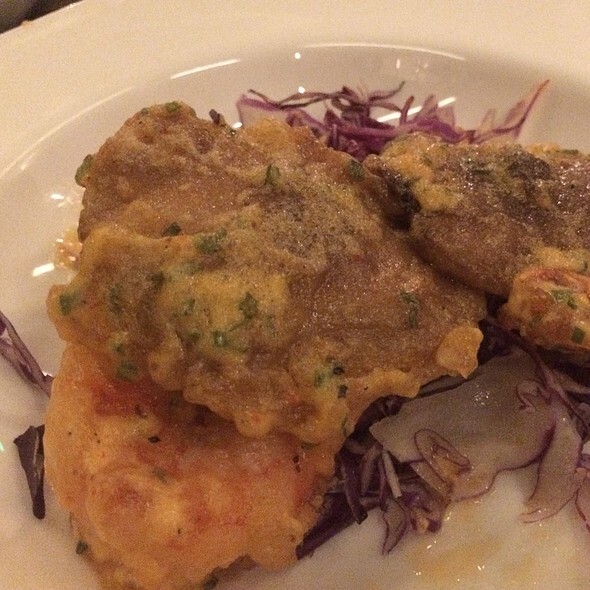 We had the Fried Ice Cream; however, they fried it in the same oil they fry fish in and it tasted like fish. Very bad and made us rather ill. Beware of their fried foods, but the Sushi and Sashimi are excellent. Food and service were fine. A little pricey. Love this place! We go every time we are in Boston. We came here for my boyfriend's birthday and we weren't disappointed! This was our second time here and it was just as good as the first time. 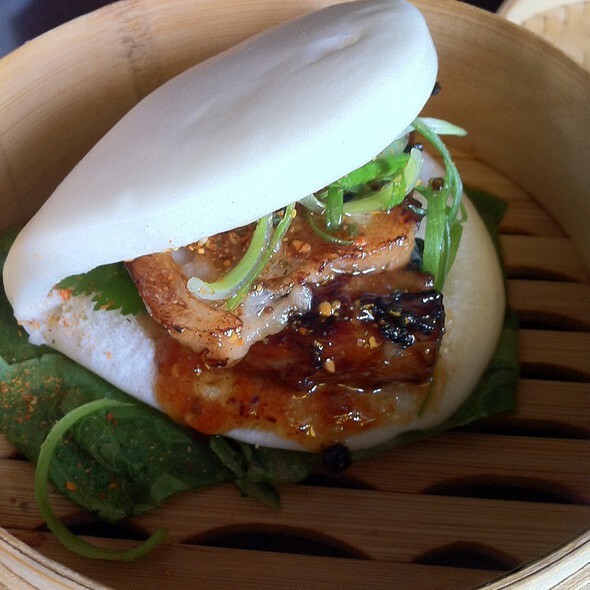 The steamed pork belly buns are unreal. Another 10/10 at Basho! The gyoza , summer roll, fried rice and Basho boat exceptional! 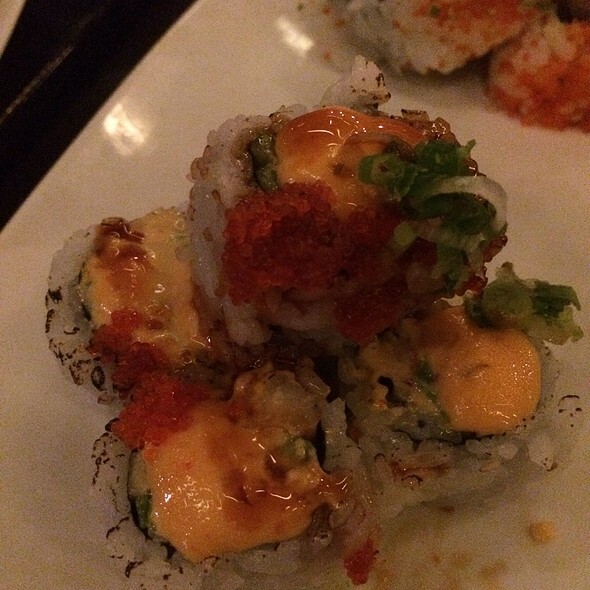 BEST sushi around and delicious cocktails! Joy us doing an outstanding job managing!!! Can’t wait to return! Waiter was busy & it was a Saturday night, but took so long to place an order. Was given an attitude when asked about the drink menu & she seemed SUPER rushed and in a hurry. We got a large sake to split and only came with one cup, then took 10-15 minutes to get the 2nd cup. Waiter split soup on my phone, leg & table and we had to chase him down to get a napkin - he didn't even notice. Then they knocked the utensils out of my friends hands when she was mid-bite on accident, didn't even notice, and we had to chase them down again to get a replacement for that too. Food wasn't the best but did the job. Waiter was confused & came back twice to ask about splitting the check even after we gave two cards and said we "wanted to split it". Saturday nights are busy yes, but I'd probably never come here again or recommend it. Food was excellent. Service was off. Our appetizers came after our main meals. Nice buzzy atmosphere, friendly staff who were very helpful with arranging the table to suit our party, first class sushi, my favourite dish a mackerel starter, interesting twist on the rolls with some quite spicy, sort of a Szechuan take on Japanese food. We thought the bill very modest for this quality of food. 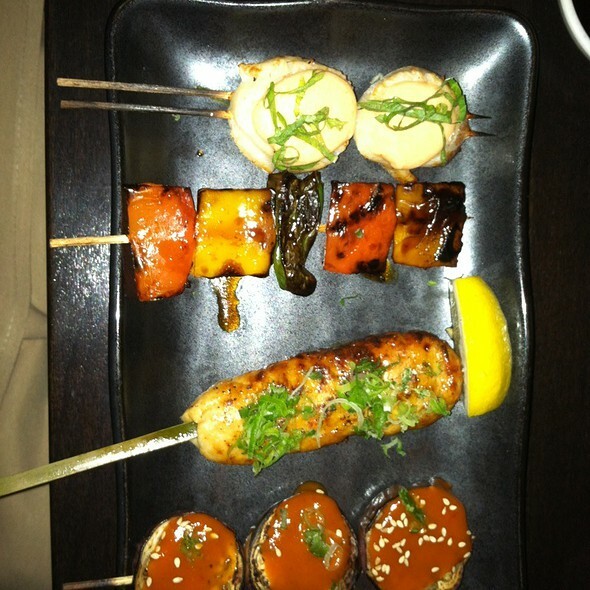 Basho never disappoints! Every time we come to Boston we eat here...always delicious. We got to try the new dim sum offerings, awesome cocktails and an amazing rice bowl! Our waitress was fantastic as well...she knew the menu in and out, giving us recommendations that were on point. Great food, good service but drinks and food takes a little too long to come. Their customer service was horrible. There were no one at the front, and the server was so rude. Could be because we are Asian since she seemed to attend the white couple at the next table totally fine. We felt totally ignored, felt even insulted by the way she spoke to us. Food was ok, but way overpriced for what we got. I had a reservation for 6:30pm , got to the restaurant right at that time. Didn’t get seated till 7:00, didn’t get menus , had to get up and go ask hostess stand for menus. Ordered food and drinks at approx 7:05 didn’t get drinks or even a glass of water till almost 7:30pm. Not sure what the problem was , but really not a good experience. Food was good though. The food was good but the service was slow and horrendous. Had a 6:30 reservation and didn't even get seated until 7pm. Then it took another 30 minutes just to get a drink which was filled to the brim with 99% ice and no liquid. Had to ask just to get water, plates, napkins, chopsticks, basically anything. Very disappointing visit. I've been here before when everything was fine, but really had a bad experience this past visit. Service was awful! We say down and had to beg for water from three different people. It took 40 minutes to get out drinks and we sat there hungry and thirsty and nothing came. When it finally did, it was delicious. when the drinks came out (we had cancelled them- but she brought them anyway) the waitress did not make it complimentary which she should have at that point. A little disappointed. The food was OK, but I have never seen such careless presentation at a Japanese restaurant. My boyfriend and I came here on a Friday night during the Red Sox playoffs and we couldn't have been more impressed. It was easy to make a reservation on OneTable and we were seated right away. We ordered a lot of food and it was honestly all amazing. We eat a lot of sushi/Japanese places and this place takes the cake. Basho has a very approachable menu for the average guest but also some more adventurous options for someone looking to try something new. Our favorite part of the entire meal was probably the pork belly steamed buns. They were incredible and the best either of us have ever had. We got multiple rounds of drinks and they were all delicious. My water glass was never close to being empty and the table was cleared appropriately. Service was efficient but never made us feel rushed at all. We'll be back soon for sure! 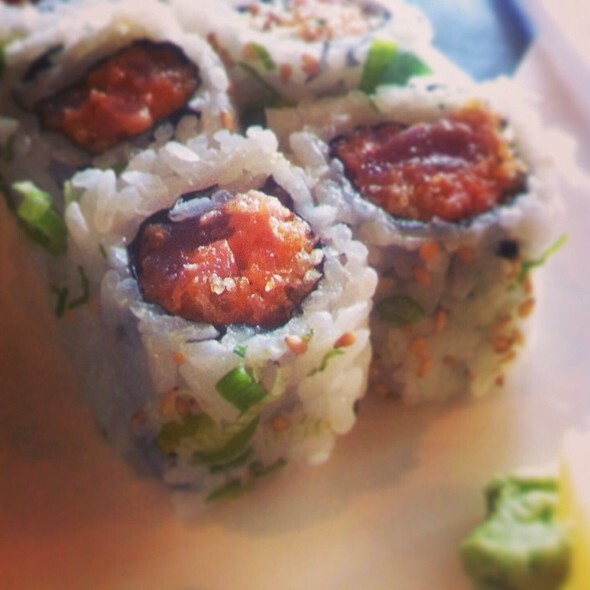 Basho is a great place for sushi as well as other great Japanese favorites. Nice atmosphere and service that is always excellent. Good value and a great location in the Fenway neighborhood on Boylston Street. I love the place. The food is excellent - the grilled calamari special was outstanding. There are several people who work there who have been there a long time, and they remember me and greet me accordingly. It makes me feel right at home. Wow, amazing!! Would return in a heartbeat!! Amazing rolls we had... fresh, tasty, and delicious. and the price was very decent... especially compared to The Hamptons and NYC where I'm from. The service was great, wait staff super friendly as was the hostess stand. Nice crowd. Great location for our dinner before seeing Pearl Jam at Fenway Park. Wish they had one of these here. Thanks!! My son and I enjoyed a delicious meal before going to Fenway for a concert. We were a party of 8. We sat for forty minutes without even being served the drinks we ordered. No even took our orders for food. Restaurant was excellent. 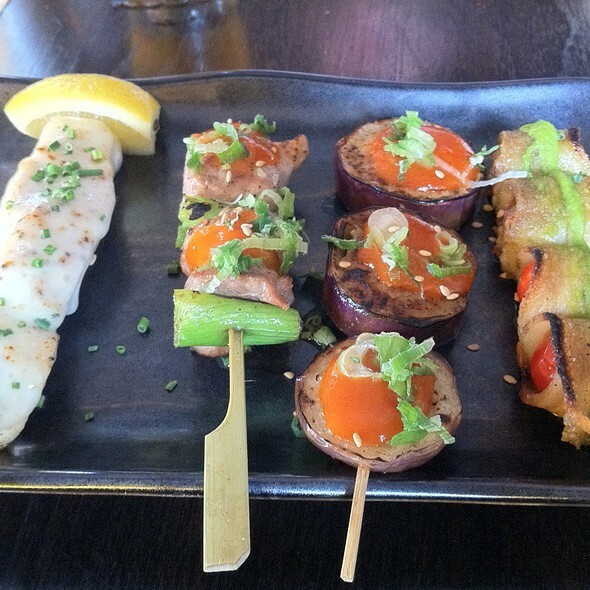 Attentive service; interesting menu and sushi dishes that were excellent. Only downer during dinner was not from restaurant, but from Open Table. Open Table sent email before I finished dinner indicating I failed to keep reservation - ruined all the fun. The food was delicious and just spicy enough (especially the soft shell crab), and the service attentive without being intrusive. A nice, calm spot for dinner with a friend.